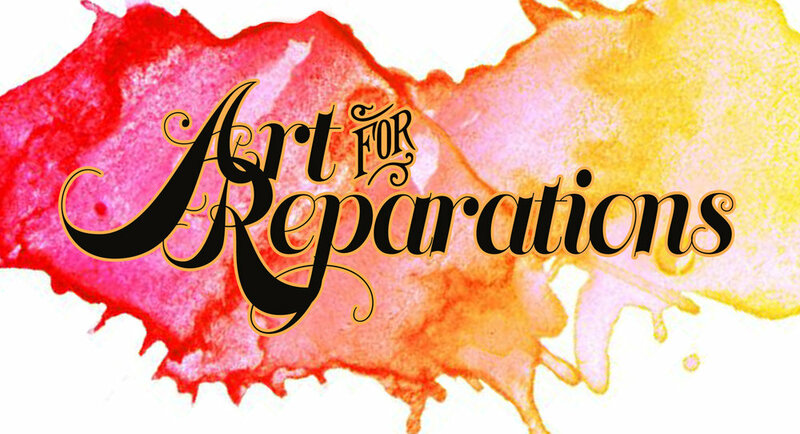 Art For Reparations (A4R) is a project of the Uhuru Solidarity Movement, an organization of white people created by and accountable to the African People's Socialist Party which organizes in the white community for reparations to African people. Many products listed on Planet Uhuru such as the journals, mittens, screen-print patches and jewelry have been submissions to the Art For Reparations project. The resources raised from the sale of these contributed artworks will benefit the Black Power Blueprint project. Based in St. Louis, MO under the leadership of Deputy Chair Ona Zené Yeshitela, the Black Power Blueprint is building economic development programs led by & for the working-class black community, such as: an Uhuru House venue space and community center; the One Africa! One Nation! Marketplace; the Uhuru Jiko community-commercial kitchen; housing; community gardens and so much more. Art For Reparations offers white artists the opportunity to take responsibility for the parasitism of the gentrifying, colonial-capitalist art institutions and music industry that we benefit from by allowing us to use our creativity to forward the African revolution, building towards a socialist economy lead by the African People's Socialist Party in which no one is oppressed. Read more about Art For Reparations in this article, “All Art Is Political”. At this time, the Uhuru Solidarity Movement is seeking art submissions for this online store & a dynamic benefit art auction in Fall 2019 in Boston, MA.